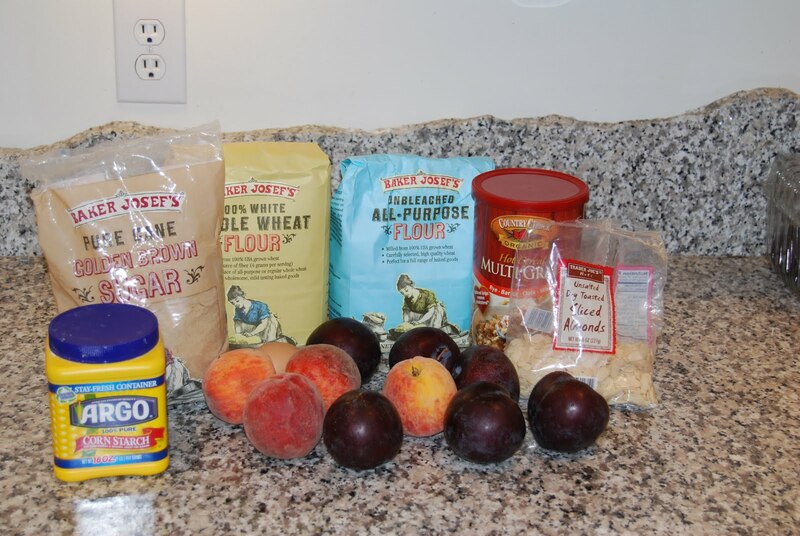 A week or so ago I had lots of peaches from the farmer’s market, and a LOT of plums from Costco and they were just shouting out to me, “mix us with the good stuff!” and so I did. 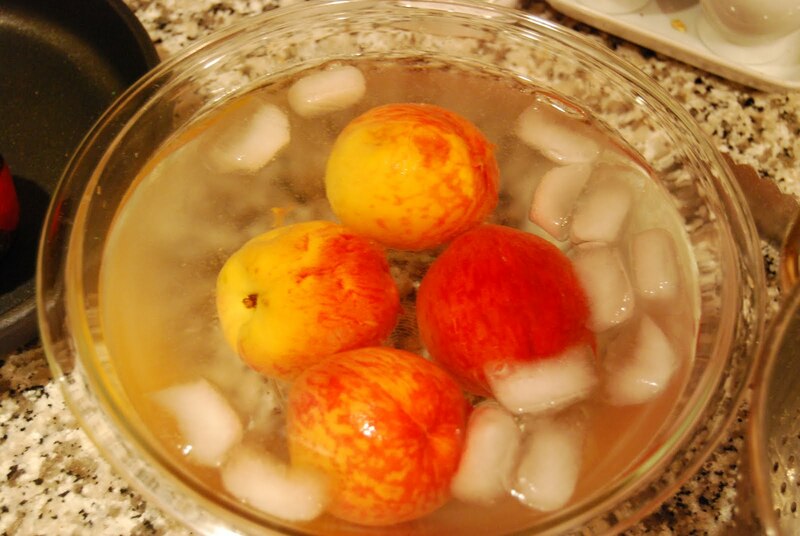 First bring a saucepan to boil and dip the plums and peaches in the hot water for about 20 seconds and then plunge them into their ice cold water bowl. Then peel the skins right off. 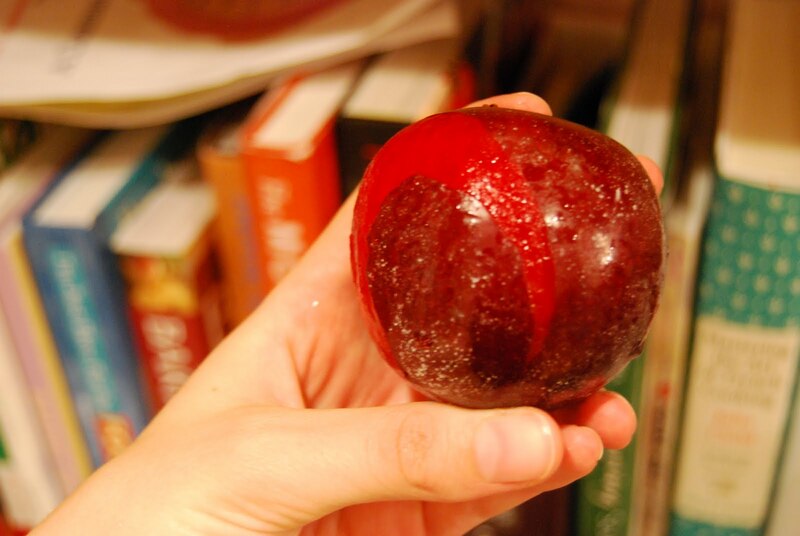 See the white flecks on the plum? 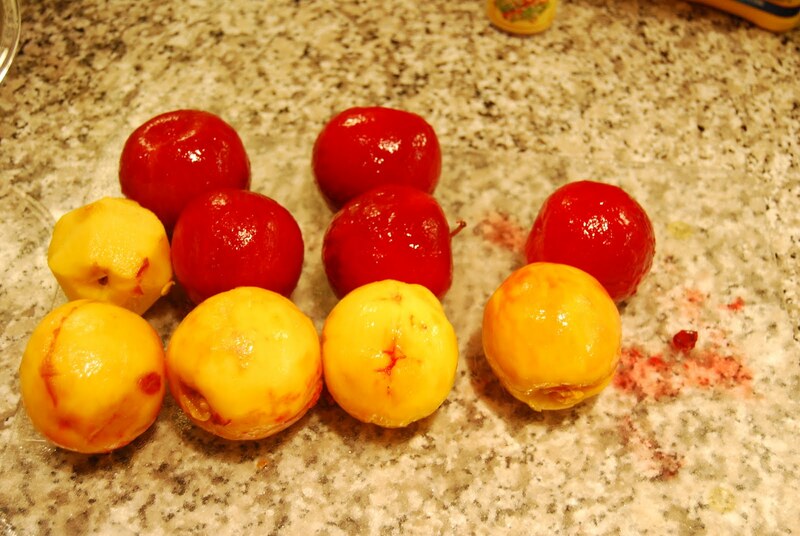 That’s a vegetable wax that was applied to the fruit – removing the skin means no weird white spots. You can do this with your fingers, but do it gently, especially with the softer fruits. 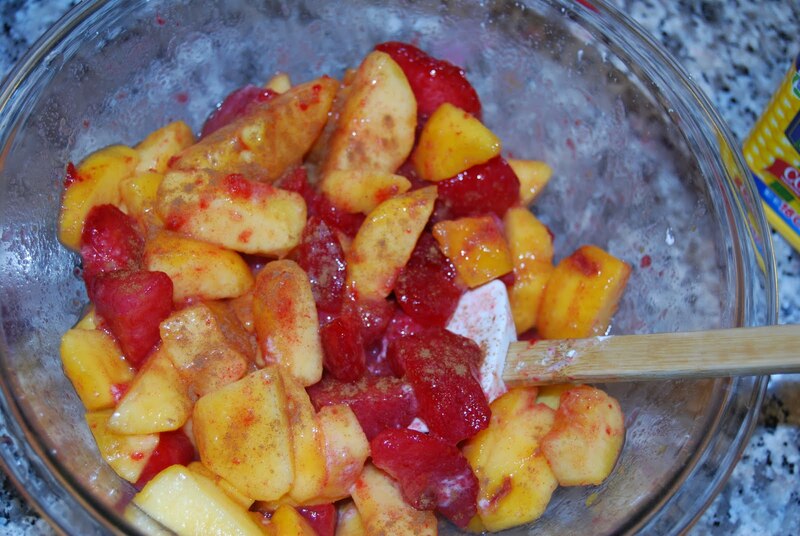 Then cut the fruit into large chunks. This is really based on preference but I like to have big fruit bites. Because I am really into cinnamon I sprinkled a bit on, but you could easily skip it. This is also when I pore in the corn starch, which magically (not really, this is what it is supposed to do) firms up the juices from the fruits to make a more solid crumble/pie/tart. 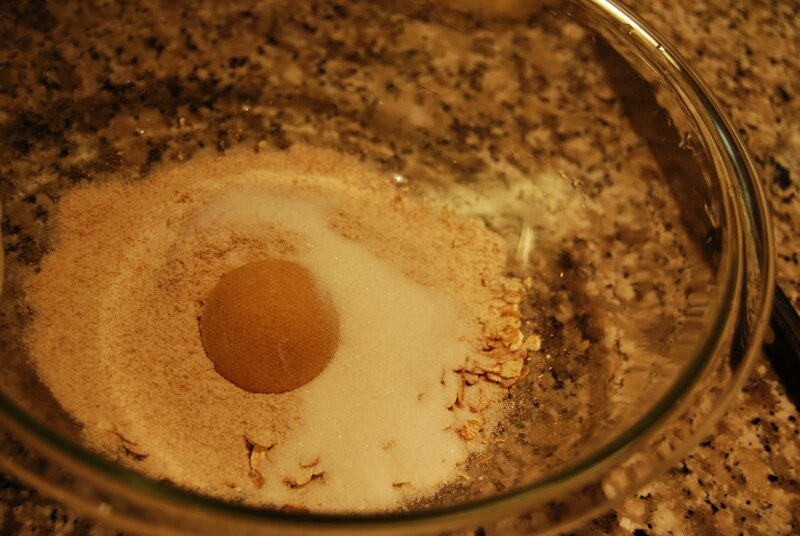 In a separate bowl I mixed by hand the sugars, the whole wheat flour, oatmeal and butter. 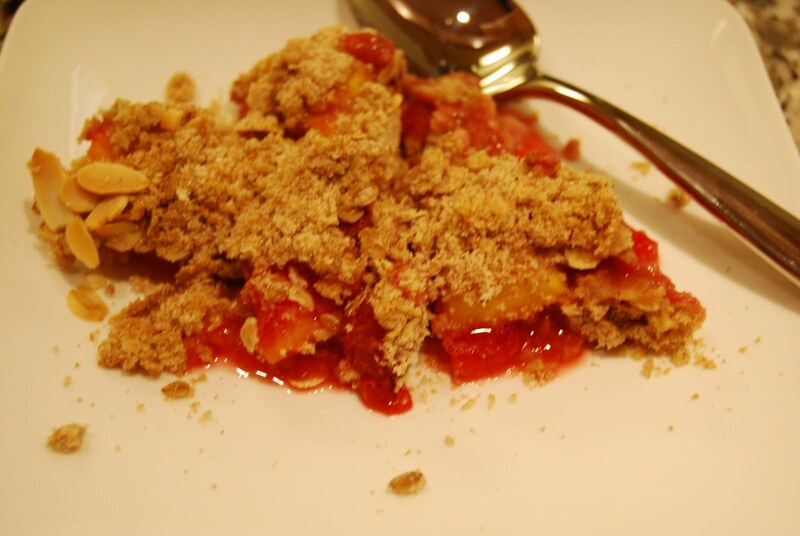 The butter adds just the right amount of moisture, so a still fairly light crumble topping. 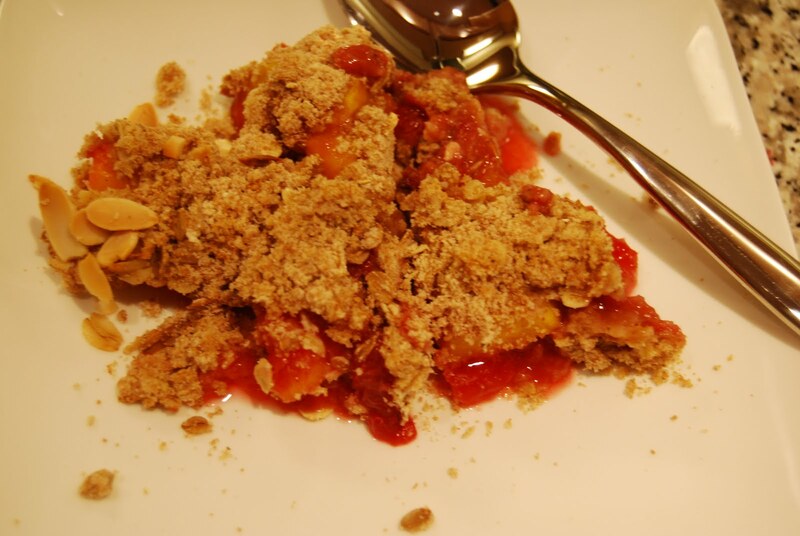 If you’re looking for a more traditional, or more solid crumble I’d add more flour and an egg. 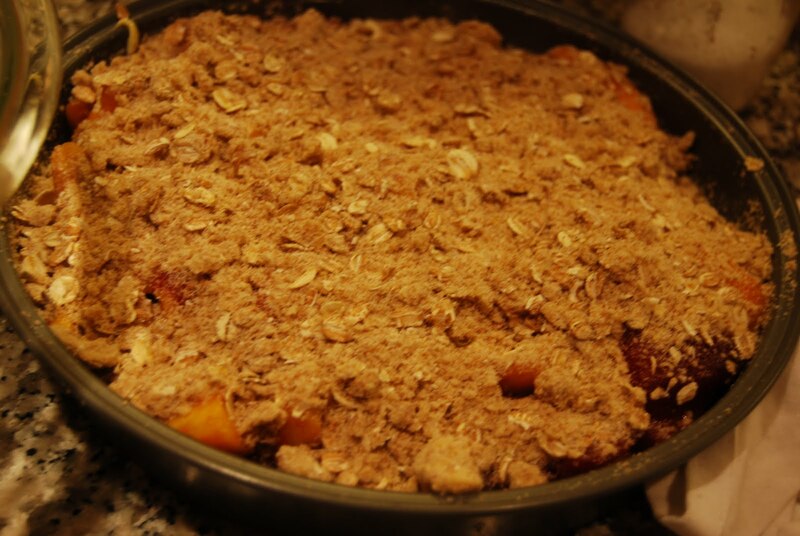 But since I was going for a lighter dessert, I kept it simple and poured it over the fruit in the pie pan. 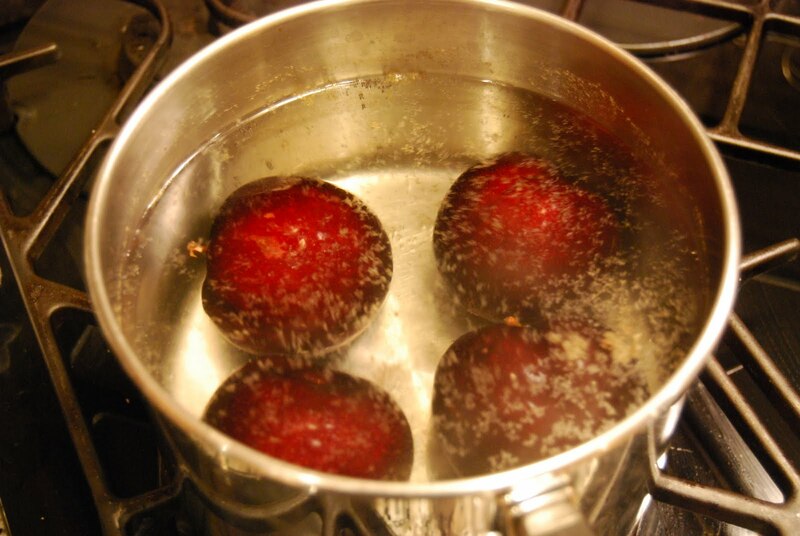 Then I baked it at 350 degrees for about 30 minutes, or until the top was nice and browned and the juices were bubbly. Tip: if you want it to be browner, but not burnt take another tablespoon of butter and break up small chunks for on top. The toughest part was waiting for it to cool… So we waited, and waited, and then stopped waiting. This was delicious warm, and would have been great on top of vanilla ice cream, or with whipped cream but then I guess that whole healthy dessert concept would be out the window. I would also serve it room temperature at a brunch, or having it for breakfast with some Greek yogurt. Fruit this summer has been delicious on their own, but sometimes it’s fun, if you’re going to spend time washing and slicing to throw them into a pie pan too! 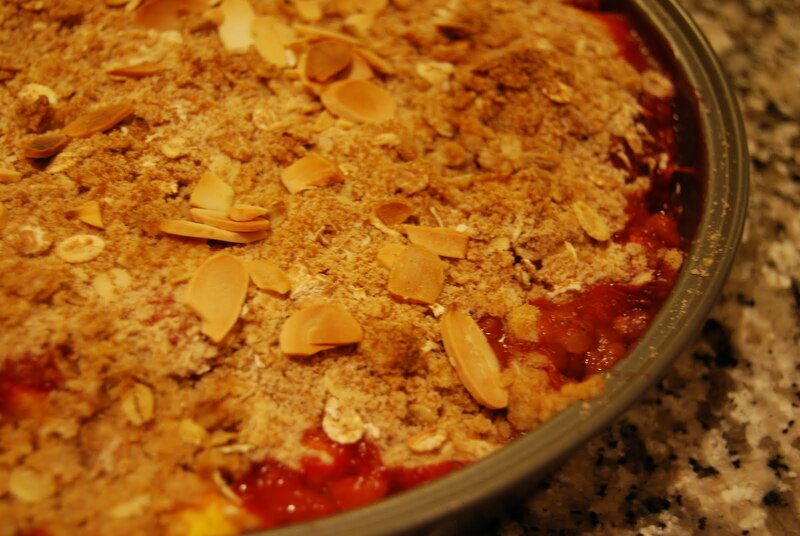 This entry was posted in Baking, Breakfast/Brunch, Comfort Food, Dessert, healthy, Her Kitchen, Seasonal, summer and tagged fruit crumble, fruit pie, healthy dessert, peach crumble, plum crumble. Bookmark the permalink.